It was a pleasure to have the celebrated journalist, author and editor, Ian Jack with us in our studio. This interview took place when Jack was in Calcutta during January, 2014 for Kalam – a literature festival held at Victoria Memorial and other historic venues in the city. Having lived in the Calcutta in the 1970s, he had not been back to the city in years. His book, Mofussil Junction: Indian Encounters 1977-2012 was published by Penguin India during the prior year. For our review, see Ian Jack’s Indias. 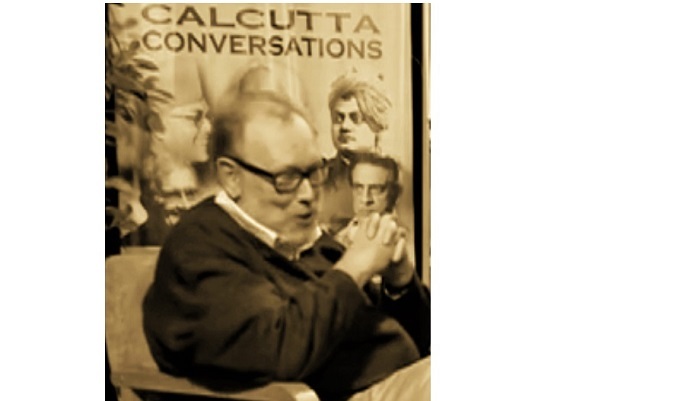 Jack discusses changing identity and culture – how middle class Bengalis used to contribute so substantially to Calcutta’s cultural identity and to Indian intellectual life. He remarks on the change in recent years, Calcutta’s loss of place. He touches on how leftist culture in the city led to the rise of the first middle class in Asia as well as the growing consumerism since. He observes that markets haven’t taken hold of politics, just yet, stating that it was only when the Marxists tried to emulate the Chinese industrial model that they were defeated: they were unable to ride roughshod over the masses because the notion of social empowerment had become, by then, too deeply embedded in the collective consciousness. We move to Delhi, Jack’s time as a foreign correspondent in the capital beginning with the last days of the emergency under Indira Gandhi. Despite the suspension of democracy and implementation of autocratic rule by Congress, he lauds the relative openness even at that time to journalists compared with other societies. Jack didn’t feel threatened the way journalists are imperiled in so many places throughout the world, today. Veda and Jack discuss the assassination of Indira Gandhi and the law and order breakdown in Delhi that led to the massacre of Sikhs in 1984. Recent allegations that the British government aided in Operation Bluestar (the controversial military campaign to unseat Sikh terrorists from the Golden Temple of Amritsar) serve as a transition to discussing Britain’s role in international affairs over the past decade from David Cameron back to Tony Blair. Veda asks Jack about the notion of being ‘British’ in the multicultural UK of the 21st Century. Jack talks about the both the fragility of the term among those whose roots go back for generations and the affinity that so many immigrants have for it. He remarks on the benefit of it as an anti-nationalist label. Then the conversation comes full circle, evolving into a discussion of globalism and how it relates to a Calcutta identity – how the city’s character attaches to those in whose lives the place has existed in some form or another. In his own case, he mentions Satyajit Ray’s film Charulata as an example: how having watched it, enjoyed it and related to it, this classic Bengali film set in Calcutta connects him to those who bear such ostensible difference from him in terms of looks, language and history. In that way, Ian Jack unmasks with both sense and sentimentality, the Global Calcuttan in him.